← F.B. Purity v25.0.0 fixes hiding Sponsored Posts in the Newsfeed! F.B. Purity, the safe, free and top rated browser extension lets you clean up and customize Faceobok. New FBP now automatically adds a “Watch vid (no ads)” link above videos in the Newsfeed that FBP has identified as containing “interstitial” ads. Clicking the red link lets you opens the video in a new tab and plays without any interruptions by interstitial video ads. Below is a screenshot showing an example video with the “Watch vid (no ads)” link inserted. Fixed Made showing the “Set as Background” button (that appears on image pages) optional (under the “Font, Colour & Design” heading) so it can be turned on or off. It is now turned off by default as people were sometimes clicking it by accident when they wanted to click the “Share” button. Added “Top Picks in Marketplace” box to the hide “Marketplace” left column link option (located under the “Left Column Links” heading on the FBP options screen. Added hiding old “Friend Requests” and “Friend Suggestions” that started showing in the Newsfeed as newsfeed posts, to the hide “People You May Know” option. Fixed FBP filtering on “facebook.com/seen/” page. Fixed Profile images on peoples Timelines were displaying circular again despite the “Bring back square profile pics” option being turned on. This should be fixed now. Renamed “On This Day” hide left column link option to “Memories” as Facebook have renamed it. If you have the hide “Stories” right column link option turned on, for some people it is hiding the “Newsfeed” option instead of the “Your Story” option in the Status Update box, that lets you choose either making a post to the Newsfeed or posting as a “Story”. If this is affecting you, turn off the hide “Stories” option (located under the “Hide Right Column Links” heading on the FBP options screen. The reason this issue is occuring is because facebook is displaying the options in reverse order for some people and not others. There is a manual CSS fix for this here. A lot of people have been complaining about Facebook’s Most Recent feed and FBP’s option to keep you on the “Most Recent” feed permanently, saying that the Most Recent feed is not in chronological order. 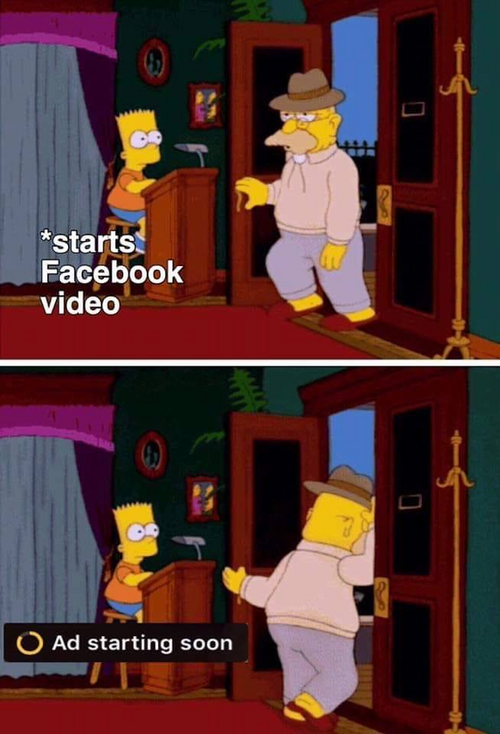 This is because Facebook have attempted to redefine what “Most Recent” actually means, and to Facebook unfortunately it no longer means Chronological order. All that the FBP option “News Sort: Most Recent” does is automatically switch you back to “Most Recent” if it detects Facebook has switched your Newsfeed to “Top Stories”. FBP does have functionality for sorting the feed Chronologically, but it is not automatic, and only runs if you press the “R” key on your keyboard (R for Re-Sort), this function when initiated will sort the currently loaded posts in the Newsfeed into chronological order, if any posts load after the feed has been sorted, for instance if you scroll the page down further, then those new posts will not be in the correct order, and you will need to press the “R” key again. Other possible options for viewing posts chronologically are to try viewing the “Friends Feed”, “Friends List” feeds, and also viewing individual “Timeline” pages, as they should be sorted chronologically. Once you have installed FB Purity for Chrome, you should from then on receive automatic updates (Chrome checks for extension updates once every 5 hours). If you don’t want to wait, and know an update is available you can force an update by turning on “Developer Mode” on the Chrome extensions management page, then clicking the “Update” button at the top of the page (make sure you don’t have any facebook tabs open, so Chrome can unload the existing version first). Firefox users who are getting the “Connection Failure” error when trying to install FBP, I have discovered the reason why this is happening. It is a known bug in Firefox that occurs if you are using Antivirus software that monitors your web browsing. The work-around, as mentioned in the FAQ is to right click on the install button, then select save, then install the extension by dragging and dropping it on to the Firefox extension management page. This Firefox bug also prevents Firefox from automatically updating FBP when new versions are released. FB Purity is now available as an official Microsoft Edge extension obtainable directly from the Microsoft Edge store If you install the official Edge FBP extension from the Microsoft Edge store, it should auto-update when new versions are released in future. Be aware however that the Microsoft Store has a slow (manual) approval process for accepting extension updates, so the new version will not show up in the Microsoft Store for a day or two after I release an extension update. The FB Purity extension for Opera is now initially installed from this site via the “Inline” install method which actually sideloads the extension from the official Opera extensions website. Once it has been installed in that manner or via the Opera extensions site itself, whenever updates to the FBP extension are uploaded and approved on the Opera extensions site (this process can take a few days after I upload an update), the version of FBP in your browser should auto-update at some point. It can sometimes be triggered by closing the browser, waiting a bit and re-opening it, there is also an “Update Extensions Now” button on the Opera extensions management page. FB Purity can now be easily installed in the latest release of the Brave browser by going to the FB Purity Chrome Webstore page and clicking the “Add to Chrome” button. For those who don’t already know, FB Purity is a safe, free and top rated web browser extension for Google Chrome, Firefox, Edge, Safari and Opera . It lets you clean up the junk and customize Facebook the way you want it to be. It has many cool features, such as hiding all the ads, alerting you when friends un-friend you, letting you change the site’s colours, fonts and background image, it lets you stay on the “Most Recent” feed permanently and lots more. FB Purity has been reviewed and highly recommended in many places including the Washington Post, CNET, PCWorld, MacWorld, GetConnected etc and has over 444,000 users worldwide. 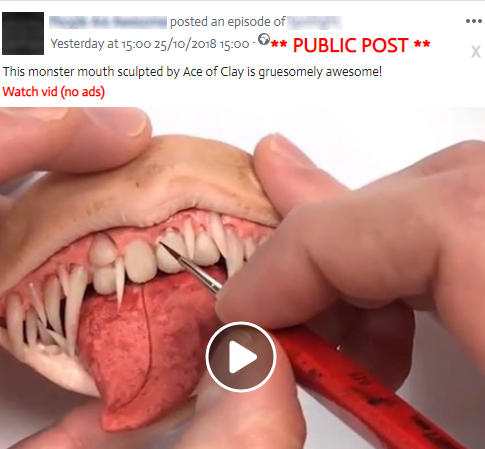 This entry was posted in Facebook, FB Purity and tagged block facebook video ads, block video ads, bypass video ads, clean up facebook, Customize Facebook, Facebook, facebook purity, FB Purity, fbclid, FBP, fluff busting purity, hide 2018 election link, hide facebook ads, hide friend requests, hide friend suggestions, hide marketplace, hide people you may know, hide top picks in marketplace, remove fbclid parameter, watch videos without ads. Bookmark the permalink. The marketplace link was on the “right column” on my facebook page , so couldn’t find a way to turn it off. Read this notice and found the choice in the “left column” menu on FBP. You might want to change it to the correct menu. the hide marketplace link option hides the marketplace link in the left hand column, it also hides the marketplace box in the right column, this is mentioned in the documentation. its simpler to have a single option, rather than 2 separate options. I have has FBP for a couple years. I have never been able to find a way to update to the new version. I do not see a place on this page to download or update to the new version. You actually need to read the Release Notes that you are replying to, that is why you can’t update, because you haven’t read the Release Notes. I am not seeing an option to hide Popular on Facebook posts. I *am* seeing the ‘watch video (no ads)’ link in them however. Is it named something else? The first four links are ads. The top non-ad link returned there is dated 2017 and just mentions it as a feature, without saying how to do it. The second link says to look for ‘Stories You May Like’. There’s no checkbox for that, or anything like it, under the Newsfeed filters. Each of the next four posts are blog posts announcing the feature — but again, there’s nothing in the UI that says either ‘Popular on Facebook’ or ‘Stories You May Like’. I’d really appreciate it if you’d tell me the section and checkbox name, I did try and search this before I asked. i just checked and agree that in this case, the info was hard to find with the search, i have updated the search engine to make it easier to find it now, sorry about that. The info you require was on the FAQ page, but the search engine didnt seem to pick up on that previously.